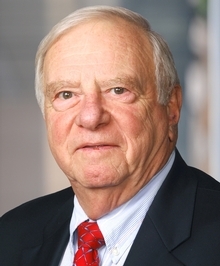 For over 40 years, Mr. Aronstein has represented corporations, partnerships and other entities in various corporate matters, including formation and dissolution, mergers and acquisitions, public and private offerings of corporate and mutual fund securities and other equity interests, sales and purchases of businesses, lending and financing arrangements, debtors’ relief, employment contracts, trademark and copyright licensing agreements, purchase, supply and requirements contracts, distributorships, oil interests, labor relations, pension planning and tax. His clients included publicly and privately owned entities, family held and Fortune 500 clients. He also represents individuals in connection with executive employment and compensation, service on boards of directors and as an officer, consultancy arrangements and other business and personal matters. Warshaw Burstein represents clients in the New York metropolitan area, across the United States and around the world. © 2019 Warshaw Burstein, LLP. All Rights Reserved.